Who is not familiar with Dijon mustard? Even my little one knows when to ask for one especially when he sees hotdogs and buns. She loves a pinch of Dijon mustard over the coarse kind that we have. Hence, I make sure to have one in handy all the time. However, it would be a nightmare when this condiment runs out. 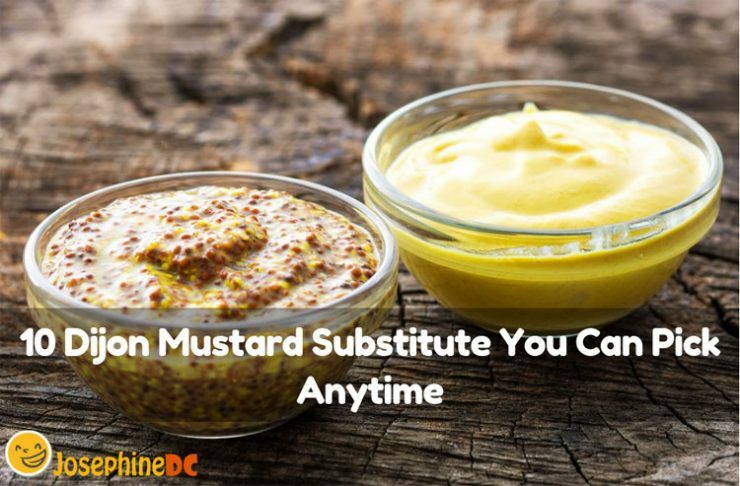 Therefore, it is important to know some Dijon mustard substitutes to save your day. You will be surprised to know that you can find some of them already in your fridge. If Dijon mustard is not a regular in your pantry, imagine how frustrating it would be when suddenly you need one. Check out this Dijon mustard substitutes and discover the ones that you can easily pick anytime. Dijon mustard’s name is after Dijon, a town found in Burgundy, France. A long time ago, this place was the center of making mustards during the middle ages. Hence, do not be shocked when I say that mustard is one of the oldest condiments there is. However, Dijon mustard only became a favorite to many during the 17th century. The tangy taste of Dijon mustard is of course, not only meant for sandwiches to be tastier but also for several uses too. You can use it as a marinade, glaze, sauce, dips, salad dressing, and adding some heat to the recipe, you are craving. It is certainly convenient when the replacement is just around the corner. You may say that yellow mustard is easy since it is a regular condiment to almost all of the households. The fact that it is also a type of mustard makes you think that it is a natural substitute for Dijon. Although this classic yellow mustard has a tarter taste compared to Dijon, it does not taste tangy as the latter. Yellow mustards have a mild flavor making it safe to use as a Dijon mustard substitute. What is great is the two both have a creamy texture that helps liquid and oil components of a sauce blend in more efficiently. The yellow mustard’s familiar name is American Yellow mustard, and you can easily find it to any grocery nearby. This substitute is my first pick because it is available anywhere near supermarkets or even online stores if not found inside your fridge. One perfect Dijon mustard substitute is honey mustard. Because of the honey, it has a sweeter taste than a Dijon, but it is excellent for people like me who loves sweets more than spicy food. I strongly recommend using this replacement when you are having chicken or pork meals. Honey mustard will surely shine when pairing with these recipes. Honey mustard is a perfect salad dressing and dipping sauce for kiddie favorites like fries, potatoes, salads, vegetables that children ask for in fast foods and restaurants. Hence, since children like a sweet taste, you may pick this substitute first when you have kids at home. Like the yellow mustard, honey mustard is easy to find as well. Aside from that, you can even make one yourself by just blending yellow mustard and an equal amount of honey with a sprinkle of your preferred herbs. Well, if you are indeed a fan of spicy food, then wasabi is an excellent alternative for Dijon mustard. In fact, wasabi’s spiciness is in a higher degree than Dijon. Take note that you may want to add a bit of it first to avoid making your recipe super spicy. I suggest using this as your Dijon mustard substitute when what you are cooking only calls for a pinch of spiciness to liven up the flavor and not to enhance the creaminess of the recipe. However, if you can tolerate more heat better, then go ahead add some wasabi as needed. Be warned that a tiny pinch of wasabi really goes a long, long way. 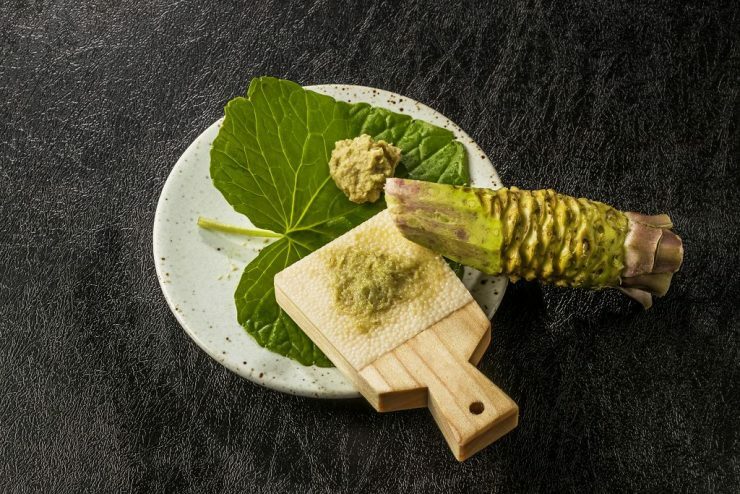 One of the upsides though when using wasabi as Dijon mustard substitute is like yellow and honey, it is available in any supermarket. If you are vying for a spicy sauce, pick wasabi as a replacement. Are you surprised? I bet you are curious why egg yolks could be a great Dijon mustard substitute. The secret here is to use the same amount of Dijon mustard when it comes to egg whites when preparing your food. This is the best substitute particularly when you have some leftover egg whites from making a dessert flan. One of the major use of Dijon mustard is to blend the water and oil efficiently in sauces. If that is what you need for a Dijon mustard, then you might as well use egg whites for the same purpose. You may know many recipes that use egg whites that works the same. Besides, the protein present in egg whites aids in the creaminess of what you are cooking. Besides wasabi, another outstanding Dijon mustard substitute is spicy brown mustard. Do you know that the brown mustard seeds are first soaked in vinegar before processing? Hence, the result is a condiment that gives an intense kick. Because of this, the spicy brown mustard offers the same texture as Dijon mustard has. I recommend using spicy brown mustard when you are craving to pair it with deli meat like hams, sausages, hot dogs, and roast beef. The spicy taste dominates over these meaty sandwiches and even blends well with flavors of cinnamon, ginger, and nutmeg for a basic undertone savor. I tell you, in my family, the first Dijon mustard substitute option for us adults is the spicy brown mustard. Enough for spicy substitutes. Some belong to the group who dislikes spicy food. Are you one of them? Then mayonnaise is the right choice for you. Mayo, as an emulsifier, works effectively as one when it comes to mixing water and oil. Of course, everyone has its own preference, but if you like to try, the next time you run out of Dijon mustard when you need an emulsifier, pick this one. Mayonnaise is a combination of oil, egg yolk, seasoning, and lemons or vinegar. Like Dijon, this dressing contains vinegar as well when you still want that tangy zest. Out of the many types of mustard, whole grain is the only kind that has mustard seeds that you can literally see mixed in it. It looks like partially grounded seeds that makes the coarse texture in quality. What is the difference between the two? Whole grain uses black and brown mustard seeds. With this, you might hesitate using whole grain mustard as a Dijon substitute because you are used to seeing the yellow color. Do not be scared since it is actually a delicious substitute when you have sandwiches and salads. If Dijon comes from France, Worcestershire also has its own roots. First known in England, it contains ingredients like vinegar, fermented onion and garlic, molasses, tamarind paste, salt, cured anchovies, and more seasoning blend out of several spices. It is many contents, which explains the exquisite taste of this sauce. Since this condiment is common to any pantry, this may be the first one to grab in case you need a Dijon mustard substitute. One advantage of having Worcestershire sauce is it never spoils even when you keep it in the cupboard for years. There may be a bit change of the taste, but it really lasts for a long, long, time. Have you heard about beer mustard? 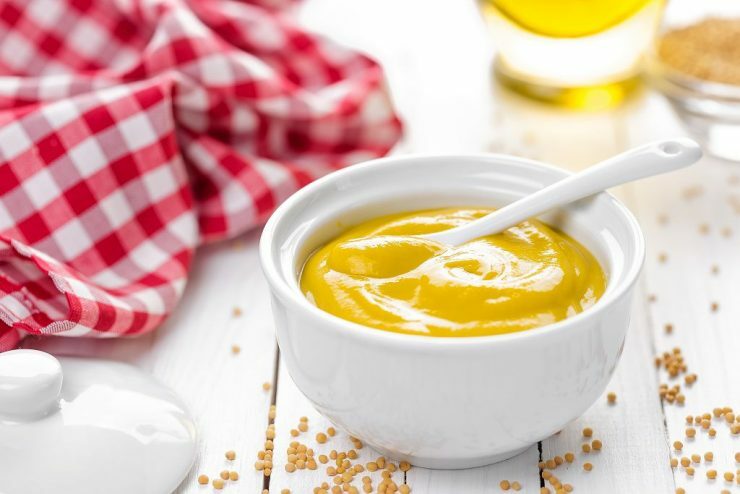 Unlike the other mustards, that has wine or vinegar for an ingredient, beer mustard obviously uses beer as its liquid base in making this exceptional mustard variation. If you are making a dipping sauce, I highly recommend beer mustard as the best substitute. You can better taste its distinguishing flavor in dips than with dressing and sandwiches. Nope, this sauce is not the radish that you are thinking of. This root vegetable comes from Russia and Hungary that belongs in the mustard category. To make this a condiment, you need to grate the root and puree it along with other components. The result is the horseradish sauce that has both the sweet and spicy tang. The spicy taste of this horseradish sauce is overpowering, so you need to be careful not to add in a big amount accidentally. Pair this best with beef, lamb, and seafood and discover how it complements the meal. Well, there is no need to stress out when you cannot find any Dijon mustard around. With the list of substitutes, I am sure you can pick a choice that suits your need best. Do not be afraid to try some that you are not familiar with. Sometimes, food is an adventure and endless discovery. All that I suggest you can easily find in the supermarket. Grab one and experiment! If you found this useful, you can share this article with your friends.